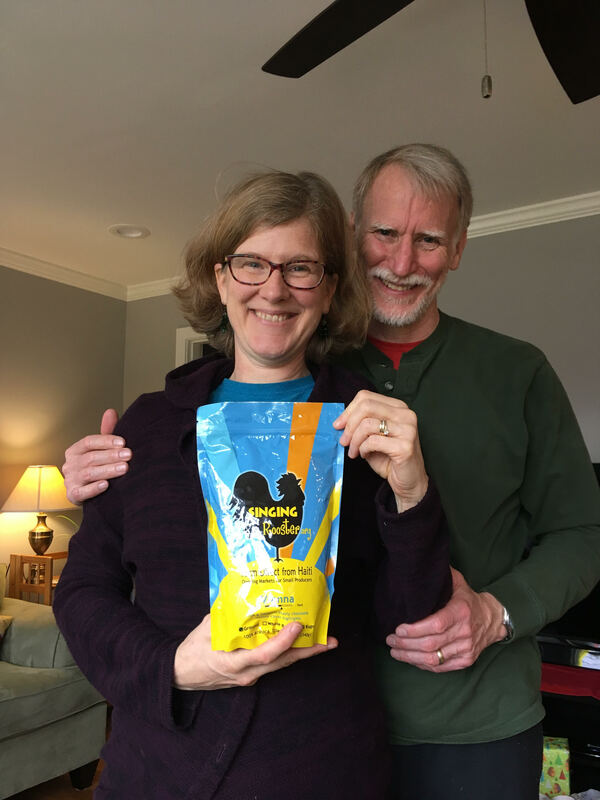 On Christmas morning I had the joy of gifting my parents a bag of Singing Rooster coffee. Being able to connect them to the mountain community of Bois Jolie in such an intimate way was truly wonderful. Together we drink the delicious brews that are the result of so many fantastic partners, devoted friends, and hard working farmers. My mom and dad with their bag of Singing Rooster.